It has become a sport whenever public relations practitioners get together for the profession to beat itself up. We’re concerned about progress in areas such as planning, new forms of media, and measurement. We’re also – and without irony – concerned about the reputation of our so-called profession. We lack confidence. We need to get over it because the solution lies firmly within our grasp. Public relations is polarising between those practitioners that are cracking on and using new forms of media to engage publics in a two-way dialogue and those that continue to spam journalists. The former have a great future in the business. The latter will be out of job within a generation. Agencies, in-house teams, organisations, and third-party initiatives all have a part to play but ultimately the future of the professional is down to you. You need to ask yourself what professionalism means to you and how you plan to future proof your career. Professionalism is not accepting the lack of diversity – look around you – we’re mainly white and middle class. Professionalism is having a job that is understood and respected by your daughter. The answer for me is Continuing Professional Development (CPD) and being accountable to a Code of Conduct that can be publicly tested. Here’s the challenge facing the CIPR. It has 10,000 members from a possible community in the UK of around 60,000. Less than 20 per cent have made a commitment to CPD. That’s woeful. At every stage of my career there has been an absolute link between professional development, career development and remuneration. In 2012 I set myself the goal of becoming a Chartered PR Practitioner. Achieving it signifies to my employers, my clients and my peers that I am skilled and qualified in public relations, accountable to a Code of Conduct, and committed to continuous learning. It puts me on equal footing with other Chartered professionals. I also wanted to understand why so few people - around 50 to date - have applied for the status and so blogged about the process along the way. As President of the CIPR this year we've worked hard to refocus the CIPR around a core vision and purpose. We’ve started to set out a clear value proposition and journey for practitioners. This remains a works in progress and the focus of incoming President Sarah Pinch. I’d urge you in the New Year to challenge your own commitment to the future of the public relations profession and set yourself on the journey to becoming a Chartered professional. I’ve just signed off the final proofs for a collection of the essays submitted by Chartered Practitioners as part of their assessment. The book called Chartered Public Relations: Lessons from Expert Practitioners will be published in February. But you don’t need to wait until then. 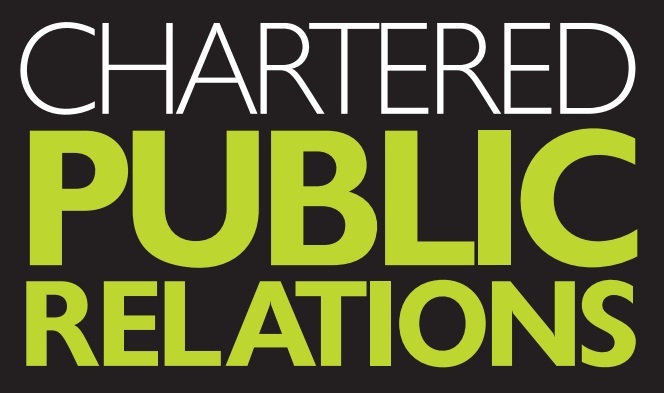 I’d like to challenge you to make it a New Year’s resolution for 2015 to work toward becoming a Chartered PR Practitioner. The future of the profession needs you. Are you in, or are you out?